Happy, fearless, full of gratitude, the two trees watched toward the sunset. Harry Sandler and I just finished another great destination workshop last night. 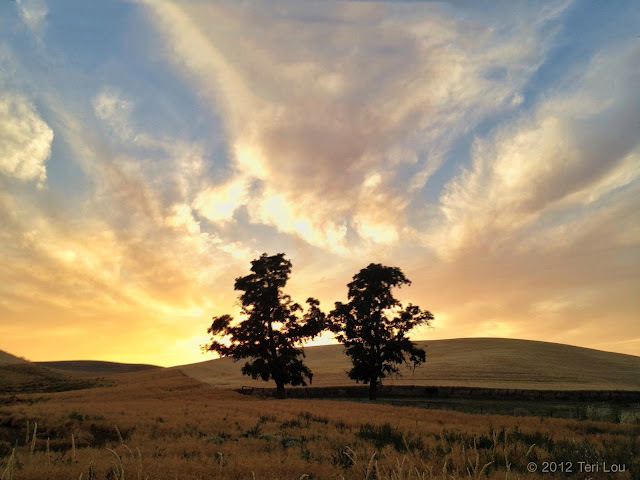 The Palouse is full of diversity. We captured working farm scenes, rolling wheat fields, lone trees, and were warmly greeted by many farmers and families as we stopped along the way. One student said this was the most friendly place she had ever been. On my way to deliver cookies and a couple prints from Harry to Rod and his hired hand last night, I was treated to this wonderful sunset. The Palouse never ceases to amaze me with its incredible photographic gifts.